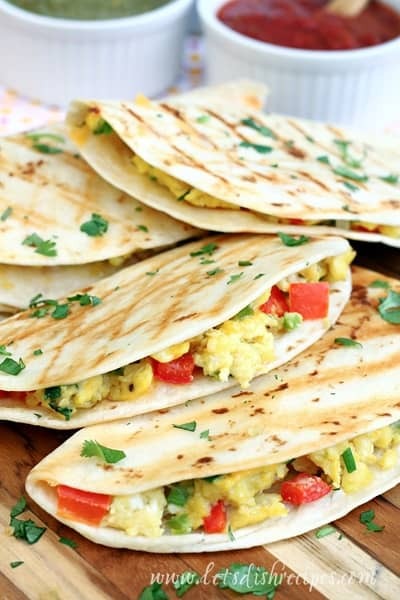 SOUTHWEST BREAKFAST QUESADILLAS — Scrambled eggs, cheese, jalapeno and cilantro, served quesadilla style in soft flour tortillas. Week day mornings start pretty early around here. So one of the reasons I always look forward to weekends is that I have time to make special breakfasts, like these Southwest Breakfast Quesadillas. Serving breakfast in a tortilla has always gone over well with my hungry boys, whether it’s a burrito, breakfast enchilada or taco. 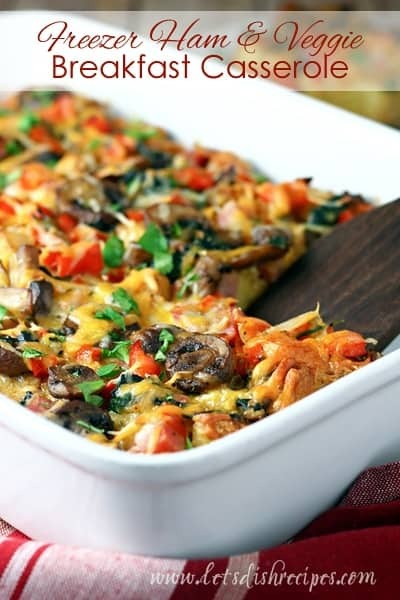 And this tasty, southwest inspired breakfast recipe was no exception. 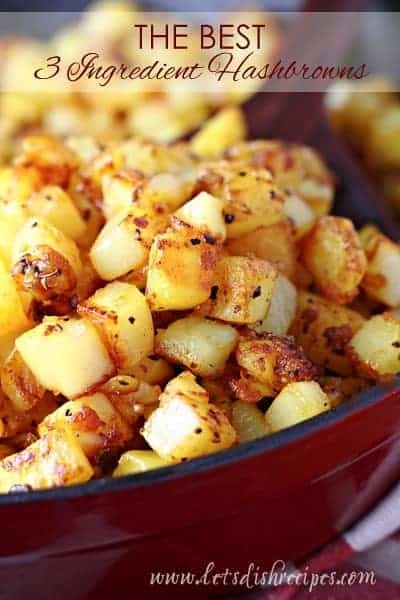 In fact, my family loves these so much, I often make them for dinner! 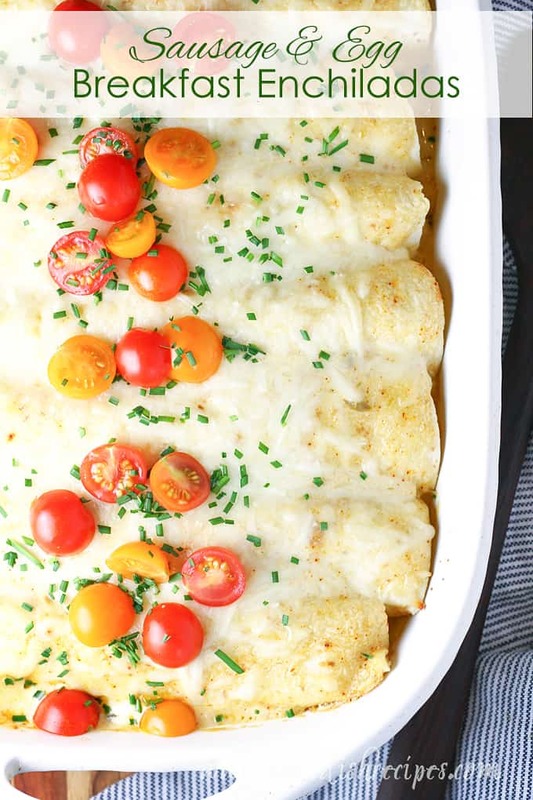 One of the great things about this recipe is that it’s easily adapted to use up what you have in your refrigerator. Think odds and ends of cheese, veggies that almost past their prime, or the handful of tortillas left over from last night’s dinner. It’s a lot like making an omelet with whatever you have on hand, with the addition of the tortilla to hold it all together. These quesadillas get their Tex-Mex flair from the peppers and cilantro, and if your family likes beans (I do, but my boys don’t) black beans would be a great addition. And so would some thawed frozen corn. If you really like things spicy, leave some seeds in your jalapeno when you dice it. And you can always spice things up by serving a hot salsa on the side. We like to serve this hearty breakfast with sour cream and salsa verde, but guacamole would be delicious too! Like I said, this recipe is extremely versatile, so don’t be afraid to adapt it to suit your tastes and use up what you have in the fridge! 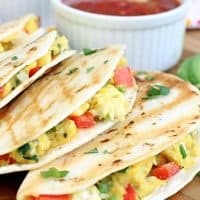 These quesadillas also taste great the next day, especially if you need to grab something quick for breakfast on your way out the door. So if you have enough ingredients to make extra, go for it! 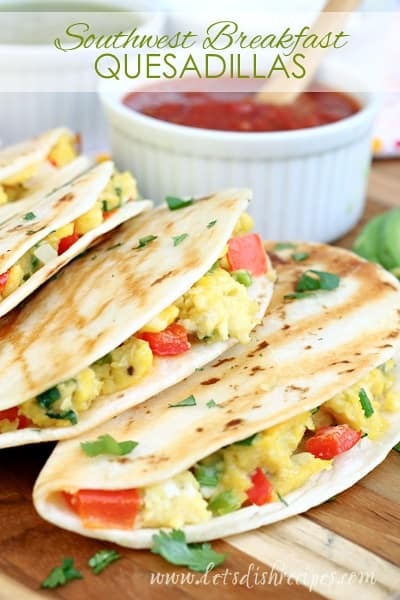 Be sure to save this Southwest Breakfast Quesadillas recipe to your favorite Pinterest board for later. Heat oil in a large, non-stick skillet over medium heat. Add the onions and peppers and cook until vegetables are just soft, about 5 minutes. Add the eggs to the skillet, along with the salt and pepper, and cook, stirring frequently, until eggs are scrambled and just done. Stir in the green onions and cilantro. Remove pan from heat. Spoon the egg mixture onto half of each tortilla, then sprinkle with cheese. Fold tortillas in half. Spray a grill pan with non-stick cooking spray and heat over medium-high heat. Add quesadilla to pan, 2-3 at a time, and cook until golden, 1-2 minutes per side. Alternately, quesadillas can be baked in the oven at 350 degrees for 10-15 minutes. Serve warm with salsa, sour cream and guacamole, if desired.